C. R. Lewis, Esq., Law Firm, Dothan, AL, June 1973-December 1973. U.S. Air Force, Office of the Staff Judge Advocate, Keesler Air Force Base, MS, December 1973-May 1978. Hand Arendall LLC, Mobile, AL, May 1978-June 2015. 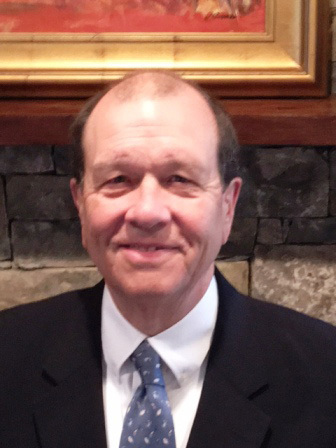 Alec Moseley joined the Mobile, Alabama law firm of Hand Arendall in 1978, after service in the United States Air Force, and practiced there as associate and partner for 37 years. After a few initial years of general civil litigation, he narrowed his focus to commercial litigation and arbitration with primary emphasis on construction and design disputes, and later to a significant transactional practice involving construction and design contracts, subcontracts, and related agreements. In mid-2015, Alec retired from Hand Arendall and moved to Monteagle, Tennessee, where he remains an AAA arbitrator, and pursues other interests his reduced workload allows. ABA Forum Committee on the Construction Industry,ABA Section of Public Contract Law,American Arbitration Association Panel of Arbitrators,Associated General Contractors, all through 2015. “Drafting an Arbitration Clause that Works,” presentation at The Construction ADR Summit (ABA October, 2015). “The Reality Behind the Theory of Loss of Labor Productivity: Challenges to Admission of – or Belief in – Lost Productivity Claims Based on Industry Studies,” presentation at Midwinter Meeting of ABA Forum on Construction Industry, Jan-Feb 2013. Numerous workshops, speeches and seminars in Mobile, Alabama on topics related to construction and design law and contract documents presented to Associated General Contractors, Construction Specifications Institute and Mobile Bar Association members, and to attendees at Lorman Educational and National Business Institute seminars.